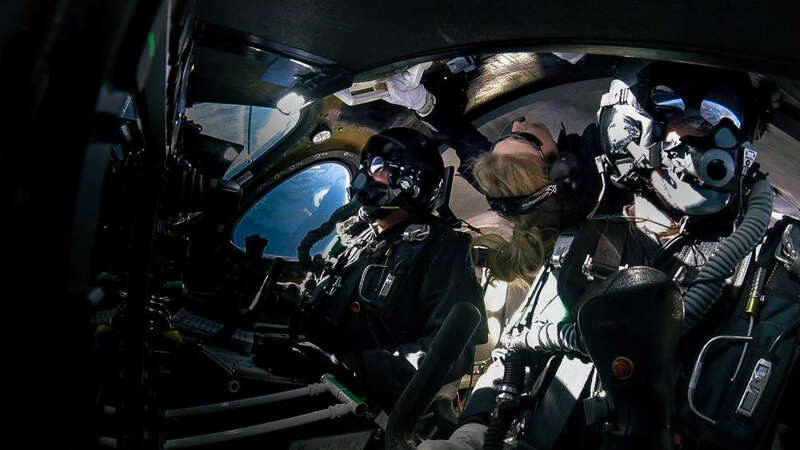 Virgin Galactic successfully brought its first test passenger to space today in the company’s second attempt with SpaceShipTwo in 10 weeks – the fifth attempt overall – to make space, this time reaching higher altitudes and faster speeds than ever before. The three-person crew includes Chief Pilot Dave Mackay, the 569th person to travel to space and the first Scottish-born astronaut, Pilot Mike “Sooch” Masucci (570th), as well as Chief Astronaut Instructor and the first woman to fly aboard a commercial spaceship, Beth Moses (571st). It marks not only the first time that a non-pilot flew onboard a commercial spaceship to space but also the first time three people headed off – one of whom floated freely without restraints. “Beth, Sooch and I just enjoyed a pretty amazing flight which was beyond anything any of us has ever experienced. It was thrilling yet smooth and nicely controlled throughout with a view at the top, of the Earth from space, which exceeded all our expectations… For the three of us today this was the fulfillment of lifelong ambitions, but paradoxically is also just the beginning of an adventure which we can’t wait to share with thousands of others,” said Mackay in a statement. Moses flew as the third crew member to provide a real-time evaluation of cabin dynamics. 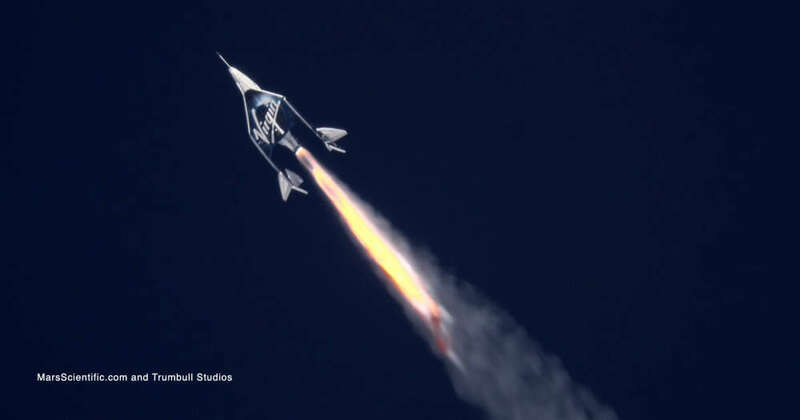 The SpaceShipTwo reached an apogee of 89.9 kilometers (55.87 miles), traveling at a 3.04 Mach on the way to space – three times the speed of sound. Virgin founder Sir Richard Branson says the successful flight continues to “expand the flight envelope”. “Having Beth fly in the cabin today, starting to ensure that our customer journey is as flawless as the spaceship itself, brings a huge sense of anticipation and excitement to all of us here who are looking forward to experiencing space for ourselves. The next few months promise to be the most thrilling yet,” said Branson. The crew experienced several minutes of weightlessness while admiring out-of-this-world views of Earth from the black backdrop of space. Moses floated through the cabin while she conducted her evaluation tests via sensors, in addition to live testing of physical elements to ensure a safe and enjoyable customer experience. All this, while the pilots “feathered” the spaceship to prep for its Mach 2.7 re-entry. SpaceShip2 landed safely back on Earth at Mojave Airport after its second trip to space at around 9am local time on Friday, February 22, 2019.